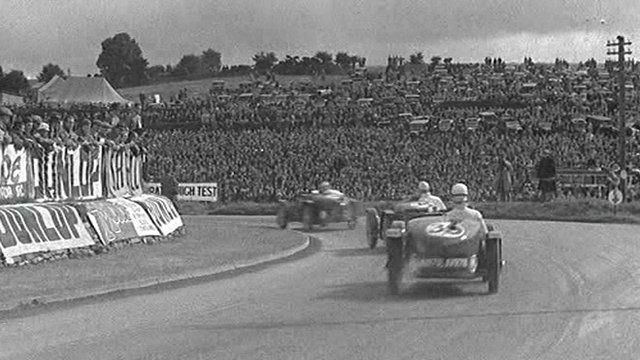 Archive footage showing the Ulster Tourist Trophy at the Ards Circuit, County Down. on 3rd September 1934. The race was won by Charles Dodson in an MG Magnette K3 sports car.